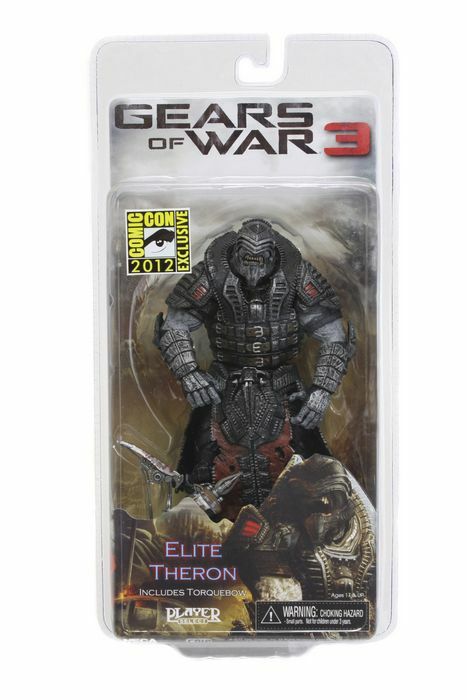 Gears of War 3 Elite Theron 7" Action Figure is SDCC Exclusive! 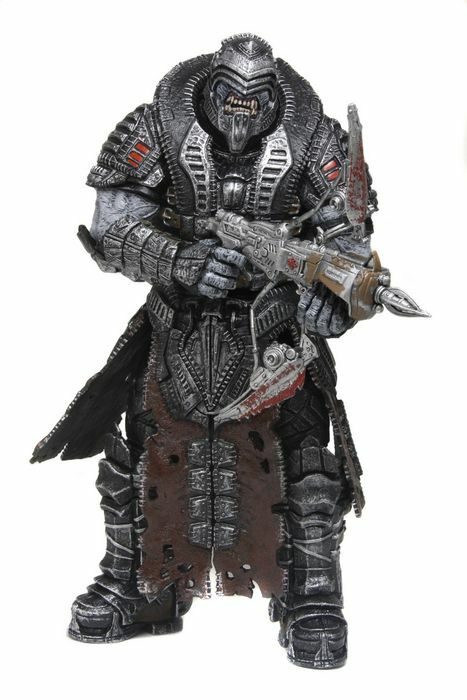 We’ll have more Gears of War 3 news to come later this week, and NECA Headquarters is proud today to reveal the latest in our series of San Diego Comic-Con 2012 Exclusives: The Elite Theron 7″ action figure! The Theron Elite — AKA the Onyx Theron — are more than just cleverly named. These guys are the elites of the elites in the Locust Horde — some of the most dangerous and most deadly Locusts that Marcus Fenix, Dom and the rest of the COG soldiers ever face in the series. This brand new SDCC Exclusive Elite Theron 7″ figure comes with the Horde’s signature Torquebow and features the black and red look they have in the game. What could be more appropriate for an SDCC exclusive than the rarest character in the game? Make sure you check out our other 2012 SDCC Exclusives: Comic Book Freddy Krueger, Hero from the Sky Ash, Cloaked City Hunter Predator and the Giant-Man HeroClix, and stay tuned for more announcements to come this week. We’ll have more posts this week on Gears of War 3 and there’s still ONE MORE Comic-Con exclusive to reveal in this series, so make sure you keep your eagle eyes tuned right here to your friendly neighborhood action figure wholesaler for news and updates on Gears and all your favorite games, movies and more!